This post is responsible for the development and delivery of bespoke packages of entitlements for young people to tackle inequalities and support attainment. 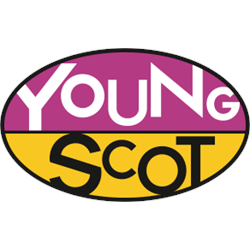 The entitlements will be delivered through the Young Scot National Entitlement Card (YS NEC) programme, in partnership with The Scottish Government and Local Authorities. With a focus on health and wellbeing and the #YSAttain project, this post will deliver a package of benefits through the YS NEC, harnessing smart-tech functionality where possible to tackle inequalities in a non-stigmatising way. The post holder will be responsible for the line management of the Content and Rewards Assistant. Do you share our commitment to supporting positive change in people’s lives? 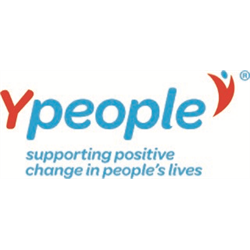 Ypeople has over 200 staff and volunteers, and supports hundreds of people every day in our homelessness, young people’s wellbeing and out of school care services. We are recruiting for a Service Manager to oversee our Your Home, Visiting Support Service In Edinburgh. Provide leadership and management for the Your Home service. Ensure our people are receiving the highest standard of support. The Stakeholder Communications Manager is responsible for the development, design and implementation of our ambitious and proactive Communications Strategy which forms a key part of the strategic development of the organisation. The senior role is the strategic lead for internal and external communications; PR/media and marketing across diverse channels. Crucial to this role is delivering the highest quality and professionalism in ensuring that we engage all of our stakeholders with key messages about our strategy, our day to day work and the impact we are making in the lives of young Scots aged 11-26. The Youth Agency strives to promote, establish, and operate sustainable services and facilities, which integrate environmental, social and economic factors for the benefit of young people aged 8-25 in South-West Edinburgh. This is a unique role which provides the opportunity to influence the Youth Agency’s activities and long term development in combination with responsibility for funding strategy. You must be able to demonstrate a successful track record of raising funds from public and private sector bodies. Excellent networking and interpersonal skills are required as is the ability to translate stakeholder and funding partner needs and priorities into an ongoing Agency business plan. Includem is a specialist Scottish charity which provides intensive, personalised, relationship-based support to vulnerable children, young people and their families. We believe that no child or young person is beyond help and that with responsive, consistent support at the time of most need we can rebuild relationships and deliver positive, sustainable outcomes. Includem are entering a period of strategic growth and are currently recruiting a Chairperson for our Board. We would like to hear from individuals who feel they have the commitment, drive and passion to help us shape our future. We seek dynamic individuals who will, use their background, experience and influence to work alongside the senior management team to develop new services, deliver our long term vision and progress our strategy. A commitment to Includem, fully supporting our charitable objectives and focus on young people. Trustees are ambassadors for Includem and champion its stakeholders, young people and staff. This is an unpaid role however reasonable expenses associated with the role will be reimbursed. As Chair of the Board of Trustees, you are expected to attend all board meetings, which are held 4 times per year during the late afternoon/evening in Glasgow and meet regularly with the Chief Executive. You will also be asked to contribute your expertise through attending and participating in steering groups, sub committees, events, networking activities and will act as a subject matter expert on particular projects as appropriate.